It is imperative for large organizations to monitor visitor movement on their campus discreetly. This is more apt for nuclear, defence, pharma, research laboratories etc., Security have enough expertise to track intrusions and are left clueless in managing or tracking 'bonafide visitors'. Todays industrial security demands a close watch on these 'bonafide' visitors also. Visitor Straying on campus is a potential danger. Deputing a Security personnel to monitor the CCTV footage is not a solution as they can only visualize the presence of the visitor but they cannot comprehend the deviation. From a security perspective it is essential that the security officer is warned of the deviation by the visitor. Our Solutions resolve this issue. We have adopted IoT components in amalgamation with web technologies and offer this solution at a lower price (when comapred with legacy systems that costed a bomb). 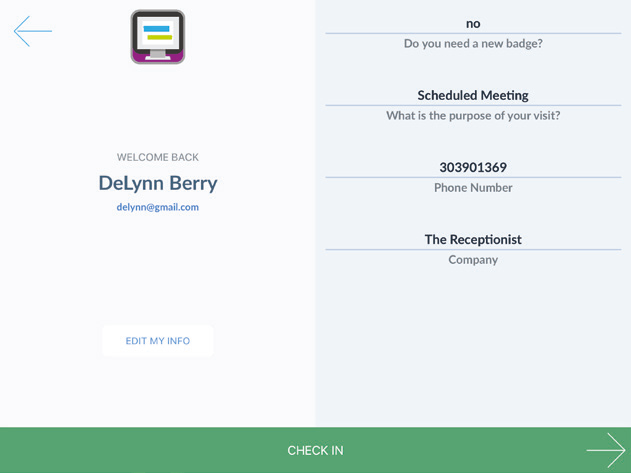 Bring that “cool factor” to your office when you present visitors with a modern check-in experience. The first impression anyone has of your office is when they walk in the door...make sure it’s a good one! 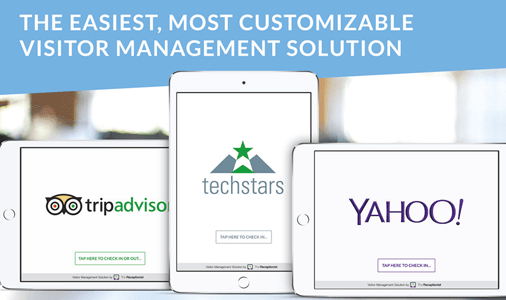 The application is easy to configure and manage. Initial setup of local server including mapping of visitor route maps on your site plan will be done by us and handed over. 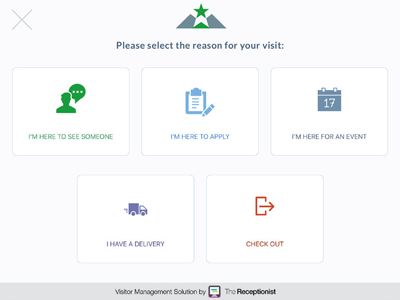 Cater to special visitors with custom check-in workflows. Need to… • Show NDAs for some visitors but not for others? 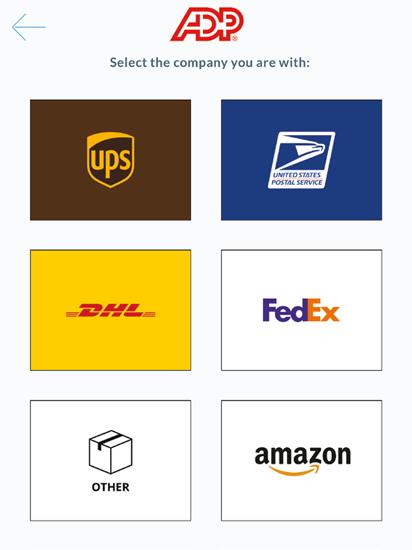 • Show certain employee contacts for some visitors but not for others? 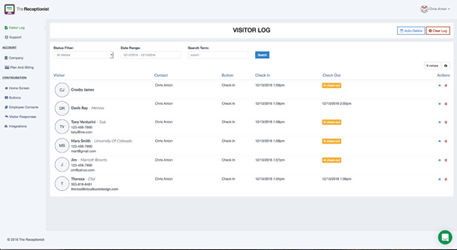 • Customize the information you collect for different types of visitors? • Print badges for some visitors but not for others? 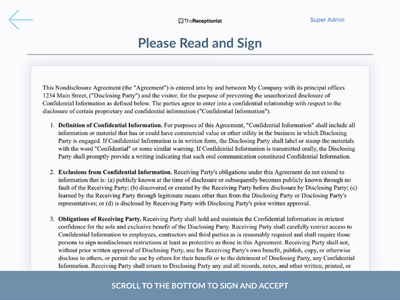 Your visitors can easily sign your company’s legal agreements during the check-in process. 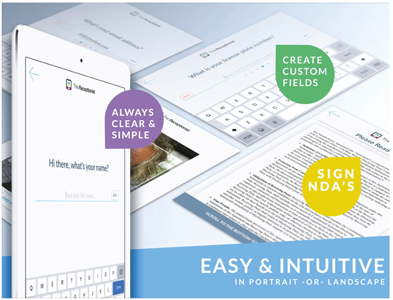 You can upload one or more PDFs or videos, and later view signed documents from the visitor log. 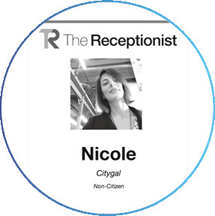 Use our proprietary, drag-and-drop badge customization tool to print visitor badges with name, photo, and employee host so you can easily identify who’s in your building and why.